The Car GuideNewsHow About A Truly Unique Aston Martin Vanquish? How About A Truly Unique Aston Martin Vanquish? If you like the drivetrain and the chassis of the Aston Martin Vanquish, but are afraid you'll see a hundred different iterations of it at your nearest country club, Henrik Fisker has a solution for you: meet the Thunderbolt concept. Based on the already beautiful Aston Martin Vanquish and designed by Henrik Fisker, the Thunderbolt is 15mm lower than the vehicle it’s based on. Nearly all the panels are different, from the large front grille to the rear bumper, the enlarged fenders and the sloping roof. Inside, we immediately notice the 11.6-inch screen developed by Panasonic that controls the car’s various functions. The cabin is of course made by hand using only the world’s finest leathers. As a final touch, there is a champagne bottle holder between the rear seats. Mr. Fisker points out that for now, it’s too early to say whether the car will be built and sold. 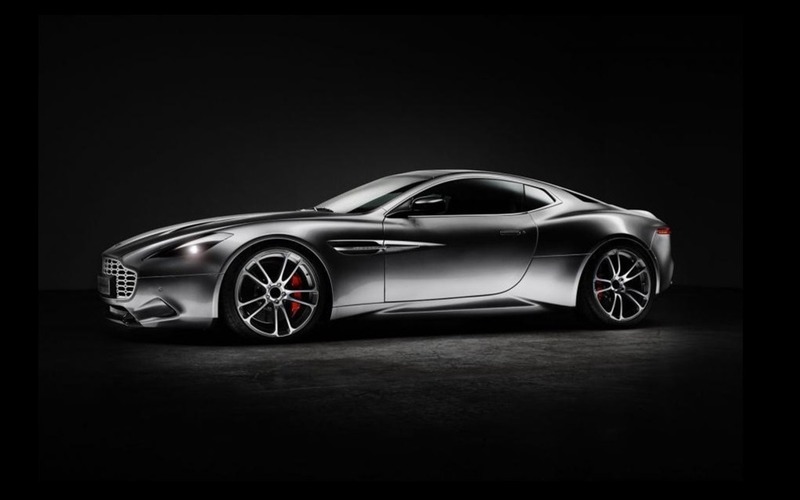 However, since this is the automotive world that we are talking about, I wouldn’t be surprised if someone with enough money convinces them to build a few… If that were to happen, Galpin Aston Martin would assemble it.